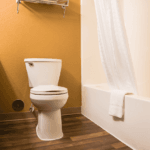 There has been a lot of debate as to whether toilet seat covers actually make the toilet seat safer to sit on. This is because they are made using disposable paper that easily absorbs water, which means that it can absorb any moisture around the rim then transfer it to your skin. However, this argument aside, most people have also been using this cover in the wrong way and this has made the use of public restrooms a nightmare to such people. 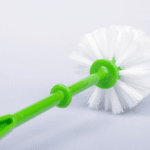 Nowadays it is very common to find toilet seat cover dispensers in most public toilets and if you find one, here’s how to use the cover that you will pull out. Hygiene is key and unfortunately, some people don’t seem to care about this. Therefore, when you go to a public toilet that has multiple stalls, look for the one that has the cleanest bowl. 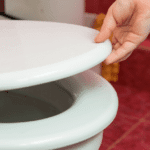 Once identified, pull the toilet seat cover from the dispenser and pinch the 3 inside joints that attach the middle flap to the outer rim of the cover. This will release the middle flap, leaving it hanging from the rear attached section. An important thing to note is that you should not rip off the entire flap. 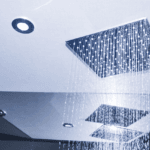 Leave the rear section attached because it is a very important piece that will improve the overall hygiene. Tear only the joint on the right, left and front part. Another major mistake that most people make is to place the cover with the flap falling inside the toilet bowl from the back. This makes it entirely useless. The cover should be placed with the backside at the front part of the bowl so that the flap falls and lines the front side falling downwards. This helps to prevent pee from splashing all over and instead, lets it flow smoothly down the paper and into the bowl. Also, remember to align the outer ring over the toilet seat so that it covers the surface completely. 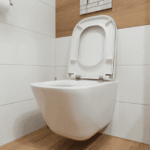 Apart from aligning the seat cover properly with the toilet seat, also ensure that you align your seating so that you do not make direct contact with the actual surface of the toilet seat. The cover should always be used as a film between your skin and the surface below. 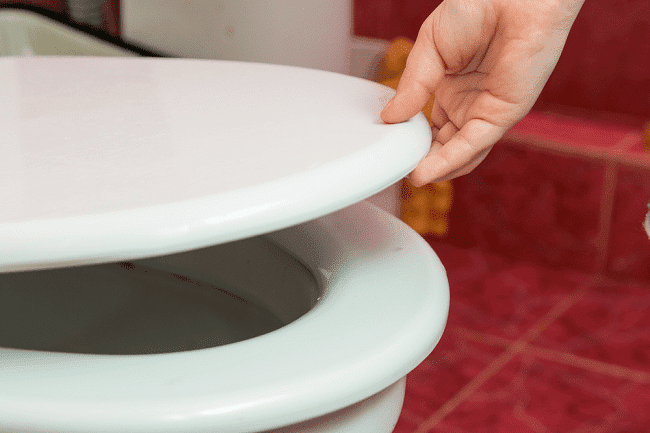 After use, always remember to dispose of the seat cover inside the bowl and flush it down because it cannot be reused by another person. If you have an open wound, always ensure that it is properly covered up because toilet seats, and especially those in public restrooms can be very unhygienic. This may lead to infections even if you use the toilet seat cover. In conclusion, toilet seat covers can be effective if you use them properly. However, you should understand that these covers can be harmful to the environment because they are made of paper, which comes from trees. Please avoid wasting them as much as possible by only using one and using it properly.